Here’s our fantasy premier league tips midfielders GW23 article in our player rankings series. There’s a table of stats to help you make your transfer choice. I’ve generally started with a selection of midfielders that I think will start GW23 and have some longevity in the team. 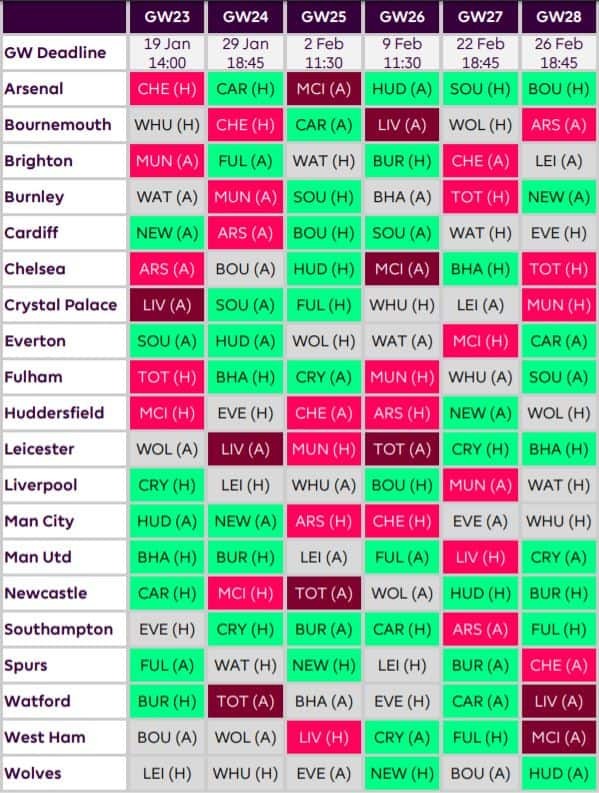 I have assumed Man City and Everton have no game in GW27 and that the fixture is moved backwards rather than forwards. Man City’s and Everton’s numbers have been adjusted to reflect that blank so they are effectively penalised which is why the players are perhaps lower than you expect. Chelsea and Spurs and their opponents aren’t adjusted.